We love travelling, red wine and doggies. We do hot yoga every weekend. Sometimes we go for walks at Bukit Timah Hill and MacRitchie Reservoir too. 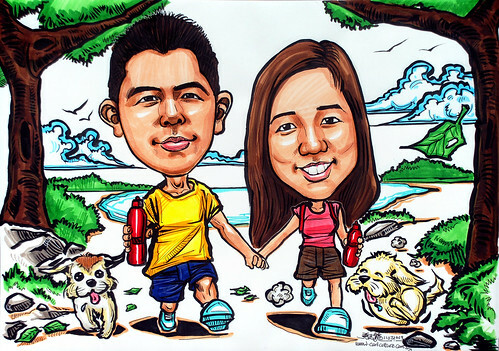 We also like watersports and the beach...."
I chose the nature walk theme. Somehow, before I draw, I can picture that should looking loving and cute, especially with the 2 imaginery puppies.